Homemade Mother’s Day gifts are my favorite to give and receive! 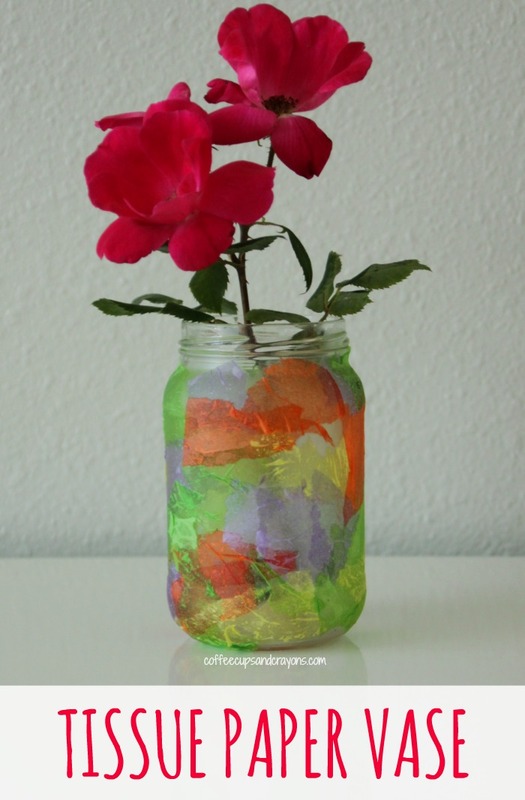 This year we made these cool tissue paper vases to give to the kids’ grandmothers. They are easy enough for younger kids to make, but fancy enough that big kids will enjoy making them too–which makes them perfect for siblings to make together. 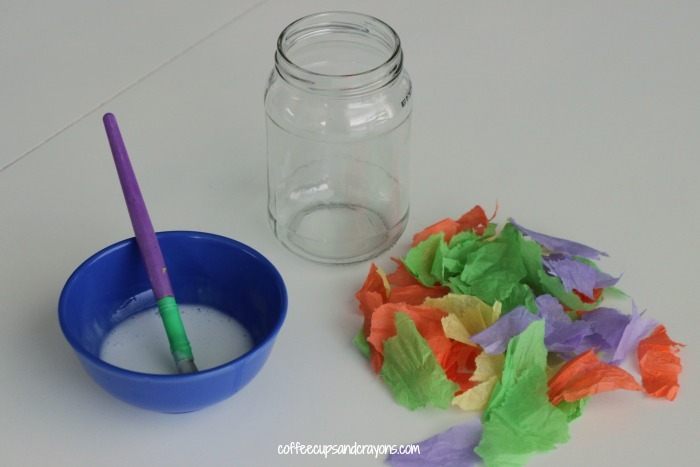 Pour glue into a bowl and add a little bit of water to water it down and have the kids tear up some of the tissue paper. 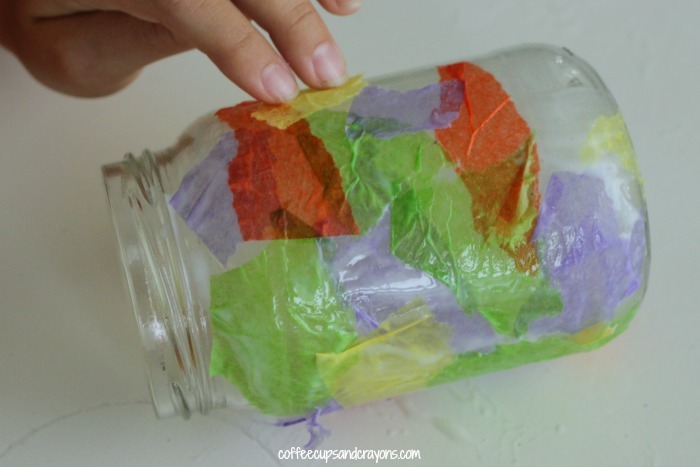 They can paint the glue mixture on the jar and stick the pieces of tissue paper on. Another layer of glue can be painted over the top of the tissue paper to help it adhere better. When the vases dry you can add flowers or a candle for a lovely homemade Mother’s Day gift! 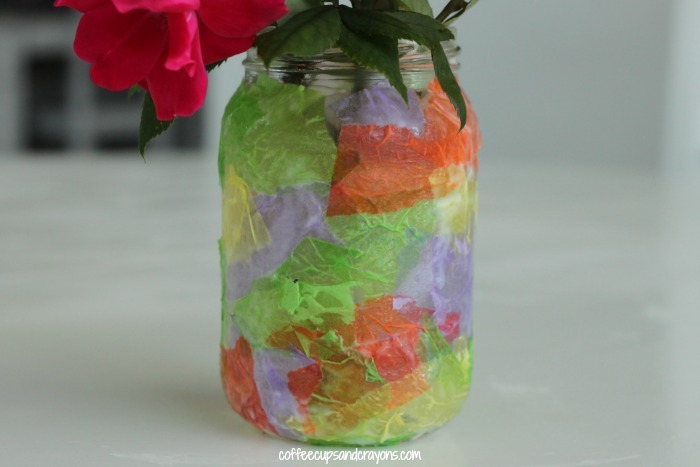 They could be used as a DIY teacher gift for Teacher Appreciation Week next week too. Deceptively Educational, The Measured Mom , This Reading Mama, What Do We Do All Day? We would love to have you link up your School-Age Post (Ages 5 and up) about your learning week after school including crafts, activities, playtime and adventures that you are doing to enrich your children’s lives after their day at school, home school or on the weekend! By linking up you’re giving permission for us to share on our After School Pinterest Board or Feature on our After School Party in the upcoming weeks!